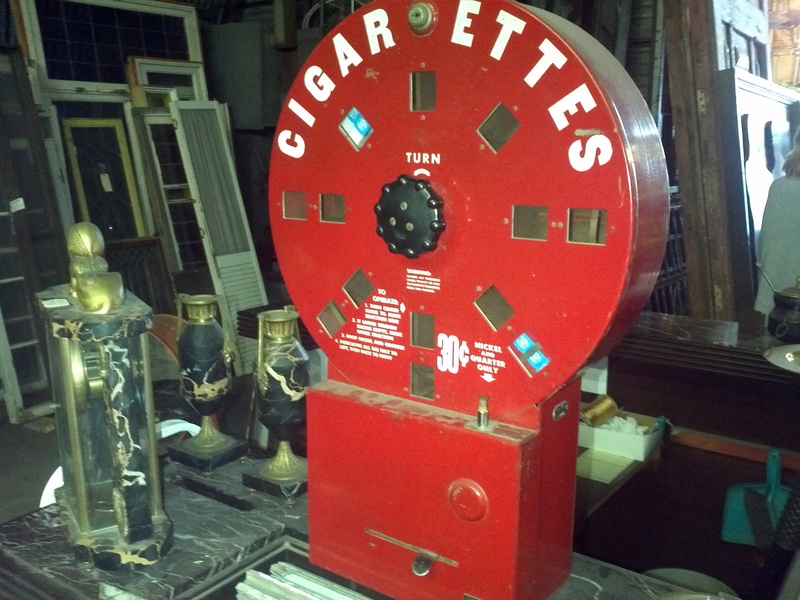 Antique coin operated cigarette machine in as found condition. Looks complete with a few packs of cigarettes included. 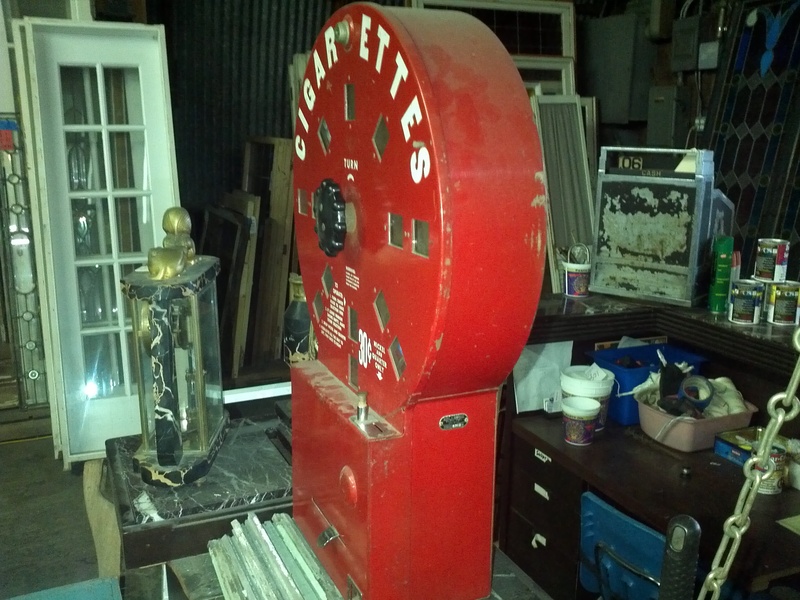 Insert coin, turn handle and a pack of cigarettes is dispensed. Neat old machine with nice graphics……….